thanks for your answer or idea. Re: Is it a Gibson case, or a MArtin case? It says 1929 00 42 but I know nothing about cases. The only thing I know is that I'd love to play a 1929 00 42 ! I have got a National case, it's the same. Admin a écrit: It says 1929 00 42 but I know nothing about cases. The only thing I know is that I'd love to play a 1929 00 42 ! For the bridge you need a well trained expert eye and for the bridge plate you need a picture of it. it's easier to see if it's original. If you post the pictures we'll do our best to help you. 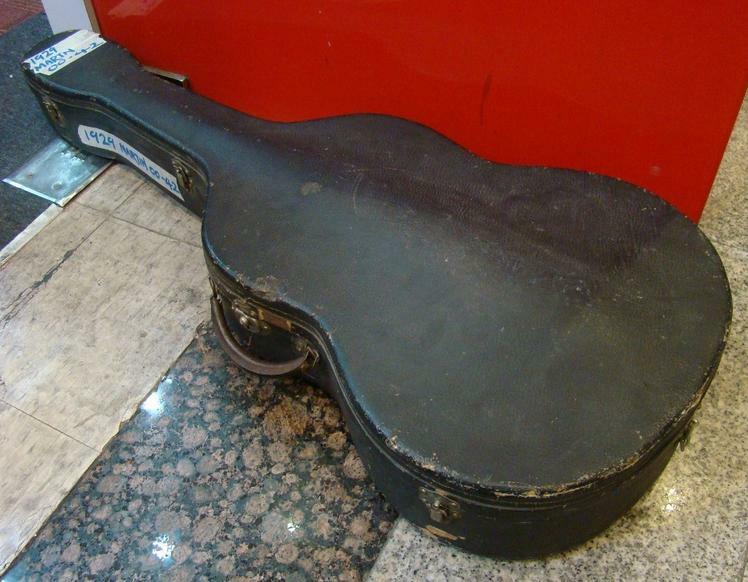 It's a 1931, 1932 size R Martin carved top guitar case. Sure? that could explain the belly bridge so...Martin (harptone) cases were different before 1930? These old boxes are often heavier than the 533-E model. If you do not practice bodybuilding, you will not go beyond three hundred meters up! This is simply an additional burden for weight training.